Have you ever wondered why Studio Ghibli museum is always a must-see spot in Tokyo? Are you familiar with Spirited Away? With Spirited Away being the second-best animated film with a worldwide gross of $331 million. It even surpassed Titanic as the highest-grossing film in Japan. The person who also designed the Studio Ghibli Museum himself. Why visit Studio Ghibli museum anyway? It will immerse you in the worlds Studio Ghibli had created — cute and creepy. But Ghibli museum tickets are so damn hard to get (if you didn’t book in advance). That fact alone tells you just how remarkably popular the museum is. There isn’t a recommended path in exploring the museum. We started from the right side of the 1st floor going up to the 3rd. A museum that is interesting and which relaxes the soul. A museum where much can be discovered. A museum where those seeking enjoyment can enjoy, those seeking to ponder can ponder, and those seeking to feel can feel. Quoted from the museum’s English website. The aim of Hayao Miyazaki was to make the building itself an exhibit. And for the whole museum to make you feel like a kid again. The museum is built to resemble a hobbit house made from reinforced soil. There are spiral staircases both inside and out, long balconies, and archways which lead to exhibits. But occasionally, a few dead ends. And that’s part of the charm because it gives you a feeling of exploration. Miyazaki’s vision for his movies has always been to immerse his audience in the worlds he creates. And that vision has clearly been recreated in the museum. The first floor was where the Permanent Exhibit Room. The room exhibits the science and history of animation and works not just by Hayao Miyazaki’s but also of other animators. The English language should be made available to discuss everything. Bouncing Totoro 3D zoetrope. Warning: Taking photos and videos are not allowed in the museum. This gif is from a rule breaker on Youtube. The Bouncing Totoro 3D zoetrope in this exhibit is without a doubt the highlight of this room. It was the first time we’ve seen such a motion display. It is a sequence of 347 still figures of My Neighbor Totoro characters. And creates an illusion of motion along with the rapid flashing LED lights when rotated. I was particularly impressed by Mei and Satsuki’s character where the movements were really smooth. It seemed to be crafted perfectly frame by frame. No wonder why the creators of this 3D zoetrope took them almost a year to finish. We kept coming back for this many times. To have every visitor stop and be mesmerized. However, if you are sensitive to light or epileptic, you should stay out of Bouncing Totoro 3D zoetrope. Put together as if it were a film. Not arrogant, magnificent, flamboyant, or suffocating. Quality space where people can feel at home, especially when it’s not crowded. A building that has a warm feel and touch. The second floor has two exhibit rooms. This room looked like it belonged to an artist’s room that had just left the room to take a break. It was filled with several books, unfinished sketches, and freshly sharpened pencils. Visitors are free to touch everything in this room. In fact, you are encouraged, to feel the artist’s vibe with the goal to inspire you to be the next Hayao Miyazaki. The other side of the second floor is where the Special Exhibit Room with theme changes annually. It showcased all the eating and food scenes from Miyazaki’s film and how there were drawn and created. You would realize how difficult really is to create just a set frame of eating food in animation–already renders about 50-100 frames. This real-life size Cat Bus is from Kalamazoo Museum. Photo by: Ryan Hyde. Under Attribution-ShareAlike 2.0 Generic (CC BY-SA 2.0). The 3rd floor is where the Cat Bus from My Neighbor Totoro is. Elementary children age 12 and under can bounce and play in this room. Adults are of course free to touch the Cat Bus fur that you’ve been dreaming of touching as you see it from the movie. It is not the exact size of the Cat Bus as they wanted it in the film. They shrink it just to fit the room. I wouldn’t recommend making your smaller babies from 0-24 months here. Your little one is too small and can be crushed by bigger children. Plus, the place can be pretty packed considering the size of the room is really small. If you need a little time alone for yourself, this is your chance to talk down to your kids if they can stay and play while you explore the rest of the museum. Small children are treated as if they were grown-ups. The handicapped are accommodated as much as possible. The staff can be confident and proud of their work. Visitors are not controlled with predetermined courses and fixed directions. Next to the Cat Bus room is the Tri-Hawks Bookstore. Here, you can browse children’s books and picture books that are personally hand-picked by Hayao Miyazaki. It was named Tri-Hawks as Mitaka, where the Ghibli Museum is located. Mi-Taka translates to “three hawks” in English. Mothers or fathers are free to read books here to their little ones. However, the books are mainly in Japanese though. 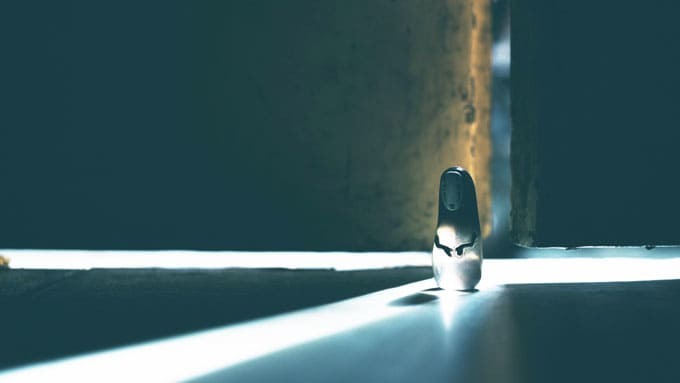 The same floor is where you can also find the souvenir and gift shop called Mamma Auito. It was inspired by the comedy-adventure animation Porco Rosso where Mamma Auito was a name of an air pirate gang. From the 3rd floor, we found our way out to the Straw Hat Cafe. A bright-orange and red cafe and restaurant with inside and outside seatings that offers an outdoor atmosphere and the views of Inokashira Park. The restaurant is located outside or deck area of the museum, you are free to take photos in this area. An important place for relaxation and enjoyment. A place that doesn’t underestimate the difficulties of running a museum cafe. Photo by: Peter Lee. Under Attribution-NonCommercial 2.0 Generic (CC BY-NC 2.0). Looking down over Inokashira Park is a life-sized 5-meter tall iconic character from the first film created and released by Studio Ghibli, the Laputa Robot Soldier. Made from hammered copper plates, the statue took around 2 years to create. But the detail makes it seem ready to spring to life at any moment. The soldier is from the movie Laputa: Castle in the Sky. And actually debuted in the final episode of Lupin the III Part II. Although there would be some small changes to its appearance in the movie. Lastly, the museum shows 15-minute short films inside the Saturn Theater. The theater is located on the main floor of the museum. The films rotate throughout the year and all are original creations for the theater. During our visit, the theater was showing Kujiratori (The Whale Hunt), which was a cute movie about children’s imagination. Honestly, even though the movies shown are very much meant for small children, this is a highlight of the museum and a must-see during your visit. The film tells the story of school children playing pretend that came to life. This is our favorite feature of the museum. It simply reminded us that it’s always fun to be a kid again and to have those special moments. 1. How early should I arrive at the museum? Arrive at the museum at least 15-30 minutes before the designated entrance time as the line is long. 2. Is photo taking really not allowed inside? Yes. Since photo taking is not allowed inside, take as many photos as you can from outside the museum, as the building itself is interesting and was inspired by European architecture. 3. How do I get to the Ghibli Museum? If you are a JR Pass holder, your pass covers the train line (JR Chuo) that goes to Mitaka Station and the museum is a 15-minute walk from there. Follow all the signs towards the Ghibli Museum. For those without JR Pass, I personally recommend that you arrive at Kichijoji Station. Kichijoji has a more interesting vibe and is a pleasant walk as you’ll also pass by one of the most important parks in Tokyo, the Inokashira Park, which is especially beautiful during the cherry blossom season. From Kichijoji Station to Ghibli Museum is also a 15-minute walk. I do not really recommend taking the bus, as taking the right bus pose many difficulties such as finding the right bus stop and the right bus number that goes to the museum. All bus signs are all in Japanese as well. Also, come on. You’re in Japan, a country of walkers. 5. Can I bring a car? Forget about your car. There’s no parking available at the museum! 6. Is the museum baby-friendly? Stroller-friendly? For families with infants or small children, make sure to bring your baby carrier as strollers are not allowed. You need to leave your strollers at the designated storage area of the museum. All floors have restrooms equipped with diaper table. The first floor, however, is the only one with baby room and breastfeeding facilities. 7. Are there coin lockers? Coin lockers are available but only for small luggage. If you have large suitcases, proceed to the Information Center and ask the staff for assistance. 8. How long can I stay inside in the museum? There isn’t really limited time. Stay as long as you want! 9. Ghibli Museum Tickets are all SOLD out. Help! How do I get tickets? Your best bet would the package tour through JTB (JAPANiCAN) and Viator. Last time I saw it, they have available tickets within the month of your booking. Have a look at each website and check the earliest dates you can get. However, if you think that the price is overkill, your second option is getting the last-minute ticket from Voyagin. 10. Is Voyagin legit for booking Ghibli Museum ticket? Yes, they are. Voyagin is a subsidiary of Rakuten Inc., the same company who now owns Viber. You can also read reviews of their Last-Minute Ghibli Museum Tickets. Or read my Ghibli museum ticket guide to know more about ticket resellers. 11. Do you recommend the food at the Straw Hat Cafe? I tend to be judgmental when it comes to museum restaurants. Most of them are not only pricey but also below average. But looking at reviews from Google Maps, Star Hat Cafe seems to be pretty loved and has 4 out of 5-star ratings. Some stated that the food is cooked fresh and all come from an organic farm which is guaranteed healthy. Unfortunately for us, we didn’t really get to dine at the Straw Hat Cafe because the restaurant was packed and has a long waiting line despite our off-season visit. Based on their menu, the variety is limited like breaded pork, steak, sandwich, soup, and omurice (omelet rice) which are typical and same as the ones you can find in many restaurants and cafes scattered in Japan. With these in mind, arrive at the museum with a full stomach like we did (we ate in Ichiran Ramen near Kichijoji Station). But if you really feel that your Ghibli experience won’t be complete without eating at the Straw Hat Cafe, I recommend that you eat outside lunch hours before 11 a.m. or after 2 p.m., hopefully, the line has died down. 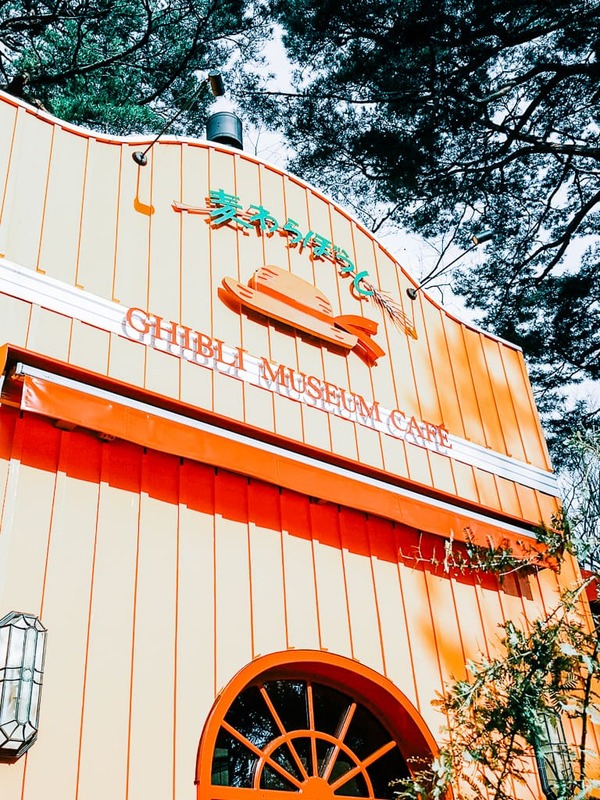 Ghibli Museum is always mentioned as a must-visit in Tokyo. After visiting, I wanted to kick myself for not going sooner. Perhaps it was my fond memories of watching My Neighbor Totoro and Spirited Away growing up. But after seeing the exhibits here, it made me feel like a kid again. 1. Don’t ever feel embarrassed if you can’t help feeling like a kid again. Ghibli Museum always encourages you to touch everything in it. This is why Studio Ghibli museum is a favorite of playful parents and young at heart. 2. The experience is worth more than the original ticket price. And it is best bought through Lawson for 1,000 yen only. I can’t wait to share it with my own daughter when she’s old enough to appreciate it. I just hope that she won’t be too scared of many odd-looking characters like I was with the Cat Bus when I was young. The museum hopes to ignite your curiosity in concept and creation of animation and understand artist’s essence and spirit. However, if you have obtained it through other methods which are more expensive, it all depends subjectively if you really consider yourself both an anime and Ghibli fan. If neither of these things really have any meaning to you, then I would still suggest giving the museum a chance. Who knows, you may come out of the museum wanting to see more. 1. “歴代興収ベスト100” [Top 100 Successful Box-Office] (in Japanese). Kogyo Tsushinsha. Archived from the original on 2017-08-08. Retrieved 2 February 2019. 2. “List of highest-grossing films in Japan”. Wikipedia https://en.wikipedia.org/wiki/List_of_highest-grossing_films_in_Japan. Retrieved 6 February 2019.